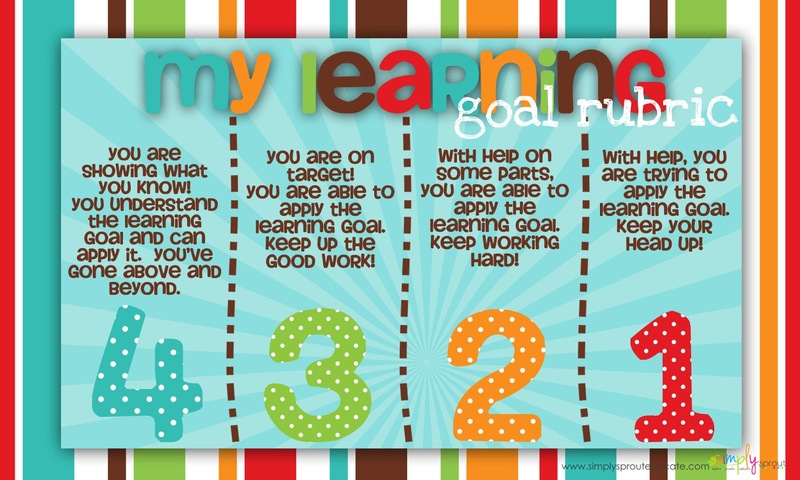 Learning goals for ourselves and our students are nothing new to us teachers, right? We've used rubrics for years to asses our students' understanding. 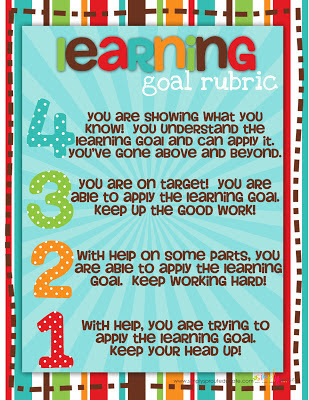 However, it seems that when we are asked to create one standard learning goal rubric to apply during our instruction, we're at a loss. Different accountability methods are entering classrooms throughout the country. Some are big ol' headaches, and then some are helpful for you as an instructor and for your students as learners. 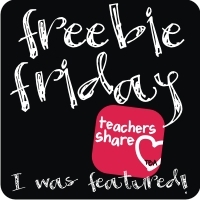 We hope that this freebie will be a great addition to your classroom instruction. One that you can refer to seamlessly during your teaching, one that is user friendly for students, and one that allows you to assess your individual students quickly and easily. 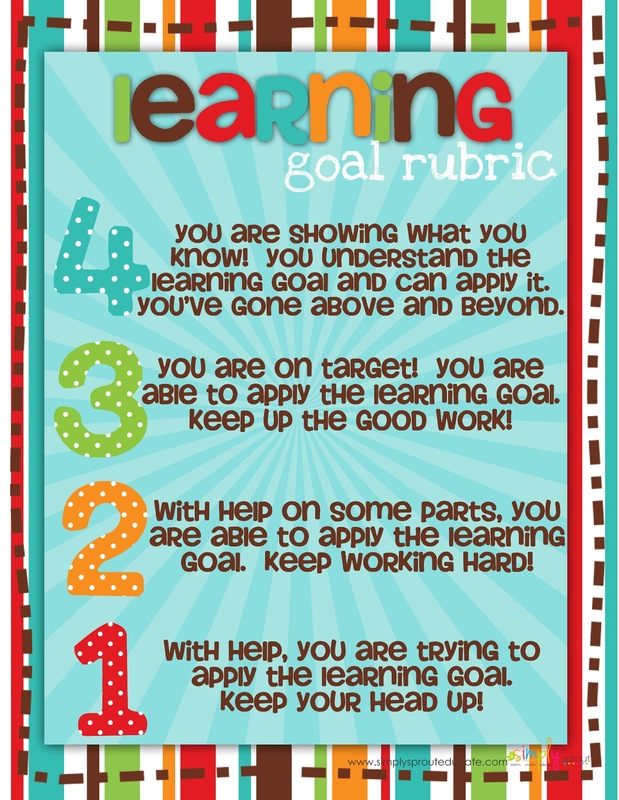 This rubric can simply be enlarged at your school or a local copy shop to be made into a poster for the whole class to view. 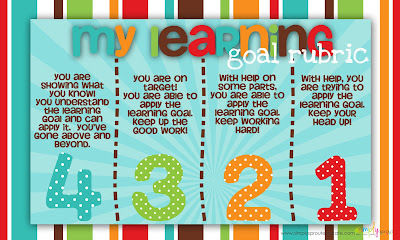 For individual accountability, these smaller cards can be laminated and taped down to students' desks. Students can simply reference it, or even place a clothespin that allows them to interact with their rubric dependent on the subject and/or concept.